Are You Better Than Joel Osteen? Religious fundamentalists and their irreligious secular counterparts have found something in common—that being their shared hatred of Joel Osteen. Osteen, a best-selling author, pastor of the gigantic Lakewood Church in Houston, has long been bashed for his positive spin on Biblical teachings and preaching what is often called prosperity gospel. Many on the religious right have long regarded him as a false teacher for the lack of fire and brimstone in his message. Meanwhile many on the left have long accused him of being hypocritical for stating that homosexuality is a sin (or his “gay problem” as Salon describes it) and for his embrace of wealth. The latest media-fueled outrage started when JustOn Baze, a gay activist, found time—in the middle of a hurricane—to visit Osteen’s church. Baze and his friend posted a live video on Facebook that showed some parts of the exterior of the Lakewood building unflooded. His vitriolic commentary launched a shaming campaign on social media, which was reported on dutifully by the clickbaiting corporate media, and soon became a unique opportunity for activists on both sides to join forces. I will not join those critical of Osteen. I do not judge him. I do not know enough about the circumstances following Harvey to render judgment of his response. I know he has opened the doors after the storm in cooperation with the city efforts and his congregation will likely be involved in the recovery after the deluge. I also know that most Americans should be careful not to condemn anyone for their wealth. Considering the median income in the US is over $51,000, and it takes only $32,000 to be in the top 1% of income earners in the world, we are all wealthy. Even our poor are provided for through social programs and I’m quite sure those who lost all in Houston will find a way to recover with or without a vow of poverty from Osteen. When over 90% of Americans households have a car—a privilege less than 9% of the world can share in—we have plenty of reason to be generous and humble. We, as wealthy Americans, even those who lost all in Houston, have a billion reasons not to be judgmental of those wealthier than us. I can’t be critical of Osteen or his congregation when I consider how wealthy I am relative to most in the world. It is really none of my business what Osteen and his congregation do with their collective resources. Their building, his salary and home, is something they worked for and therefore their perogative. What good will come from attacking them? It is easy to see ourselves as the good guys and feel justifed in our condemnation. But Jesus gives clear warning: We will be judged as we judge. That is good reason not to bash anyone. That is good reason to be gracious to all people—including Osteen. Where should our focus be? Our focus should be on living righteously ourselves. Our focus should be on showing true love and compassion to all people and especially where it is needed the most. Who will come to her aid? 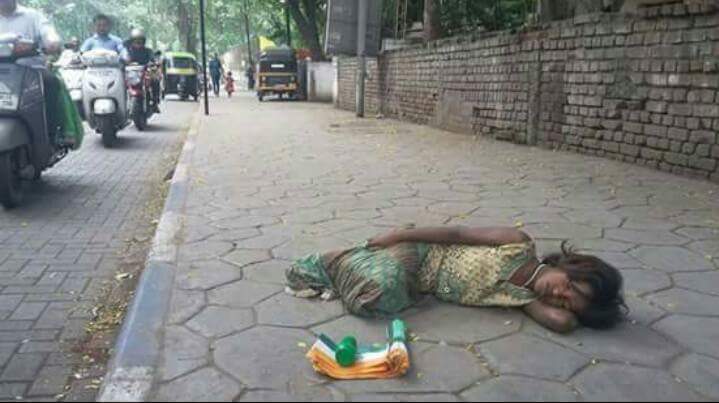 Who will help the many like her born into poverty? Filipino street children live like that every day and not just after a natural disaster. My readership is large enough that we could do something big for many children who were not given the same opportunities we have. We could fund an orphanage, programs to help set these children in the direction of success, and still have plenty left over for ourselves. We don’t need to be better than anyone besides ourselves. Instead of bashing celebrities, our focus should be on being better than our former selves, repenting of our own sins and showing the way through example. That is true Christian leadership, that is the “good news” of Jesus Christ, and our responsibility to the world. Who shares my vision for street children in the Philippines? Who would help me in such an endeavor?